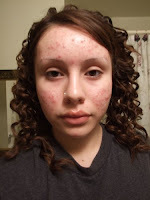 Oh my god...all these years searching for creams and ointments to cure pimples and zits....what a waste of time..I wish I had met this girl before! For a second I thought she was kidding. But then she told me how to use it to cure a growing pimple or zit and also to cure scars left over by zits. No wonder she had such a spotless and charming skin! I decided to first practically implement it and then write about it in case it was effective. I used it on my sister who always complains that she has an excessively oily skin and has pimples most of the times on her cheeks and chin. Guess what ? It worked ! It stopped a growing pimple right there and even cured it! Wash your hands, wet your pimple with water and apply a thin coat of turmeric on it and leave it on for a few hours. Repeat this process until the pimple/zit disappears. This will stop the pimple from growing and leaving a scar. So the orange colored powder lying around your kitchen cabinets can be used to serve better purposes than just cooking. Using turmeric on daily basis has excellent health benefits and can be used as an ointment almost for any kind of injury, skin problem and best of all...pimples and zits. If my colleague and my grandmother had told me all about it earlier then probably it would have been my first blog post !